On Saturday, 28th April, 2012, Mikser’s creative team presented again the synergy of design, flavour and aromas to all fans of design and gastronomy at the second Mikser Design Food, which was held at Mikser House (Karadjordjeva 46). Tourist organization “Oplenac” from Topola and the Association of wine-makers and vinegrowers from Oplenac region in cooperation with King Peter’s Foundation and Topola Cultural Center organized for the fourth time an event called St George’s Days of Wine & Brandy. 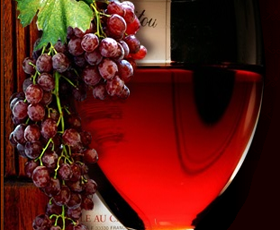 On 5th and 6th May, 2012, Art Pavillion “Cvijeta Zuzorić” in Kalemegdan (Belgrade) will host the second Mediteraneo festival of wine, gastronomy and wine tourism. The festival is open for visitors from 12-22h. The second day of Zagreb Wine Gourmet Weekend started with an exceptional Masterclass workshop conducted by Isabelle Legeron. Most likely you are well familiar with her travel programme “Journey Into Wine” shown on Travel Channel, where she visits various countries and tells the stories of wine and wine tradition of these countries. Mladenović family originates from Negotin region and for centuries, their history has been related to vineyards and wine-making. Their grandgrandfather cultivated 3 hectares of vineyards and produced about 30 tons of wine.